The SQ series is a range of single voltage DC power supplies, specifically designed for a mounting on DIN rail. 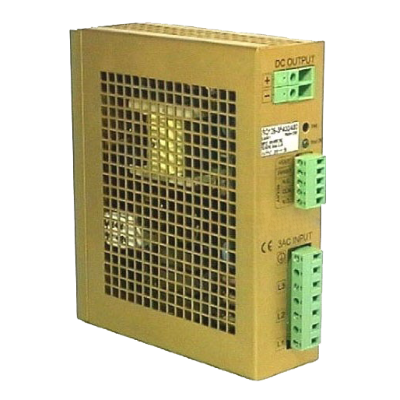 Depending on the model chosen, the input network can be 115 Vac, 230 Vac single phase or 400 Vac three phase. The Power Factor Correction (PFC) according to EN61000-3-2 class A is also integrated. Compact and efficient, this range has been UL and C-UL approved and is EC marked. This range is perfectly adapted to all applications of type distribution boards or electronic cabinets.